A South Australian man saved a 'unicorn' sheep from being slaughtered by giving away two cases of beer. When Stock agent Michael Foster saw Joey, he wanted to everything in his capacity to save the one-horned animal. Foster said he had never seen anything like Joey and was ready to give even upto his property. The sheep looks like a unicorn because of its horn which is not fully developed. Foster told 7NEWS, "I thought it might have been a joke to start with, but I thought, 'yeah it looks like a unicorn. I've been a stock agent for about six years and it is definitely the first time I have come across anything like it. To the best of our knowledge, it is the only one in Australia." Due to Foster's efforts, Joey has become famous in the town and receives a lot of visitors of which most of them are kids. Foster said he expects to take the 'real-life unicorn' to play to Hollywood one day. ‘Vampire-like Creature’ Massacred Eight Sheep in Ukraine Village, Fully Drains Blood Out of Bodies. And it is not just the sheep which is enjoying the newfound fame, but Foster himself too. Talking about Joey, Foster said, "He runs with the other sheep, it's just funny seeing his horn poking out. We'll break him in, take him to shows and pageants, and who knows where we can go, maybe Hollywood. 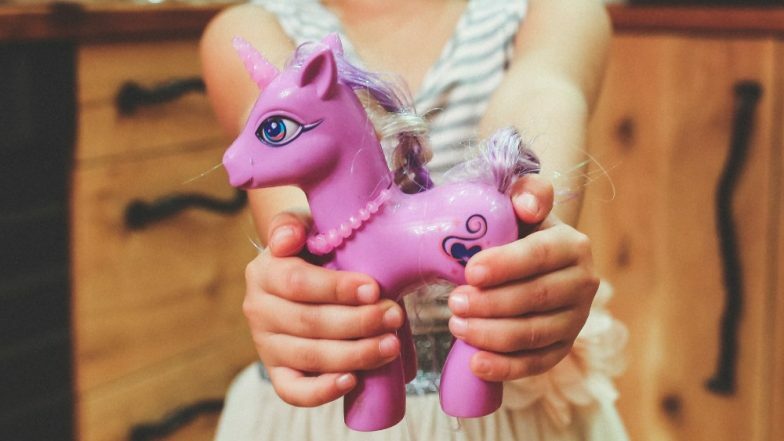 I'm sure the kids will get a big kick out of patting a real-life unicorn, we might even do unicorn rides."